Call in Hospice of Chattanooga when you or a loved one are faced with a terminal diagnosis or are struggling to cope with pain. We will provide a wonderful team of professionals to surround you and your family with care. 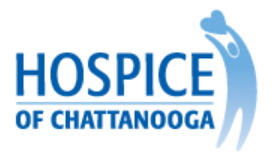 Hospice of Chattanooga offers a wide range of services that includes hospice or end-of-life care, plus extensive grief support programs for those coping with the loss of a loved one. We specialize in personalized care that is tailored to each individual patient and family’s unique medical, emotional and spiritual needs. Our talented team of hospice care experts will do for you as we have done for thousands through the last 30 years: we will help you navigate the challenges of managing your care, while working to ease your pain and suffering. Learn more about our organization by exploring this website. Or call the Hospice of Chattanooga main line at (423) 892-4289 and speak to a member of our team today. Remember this. We’re here to walk beside you on life’s journey. You don’t have to do it alone.